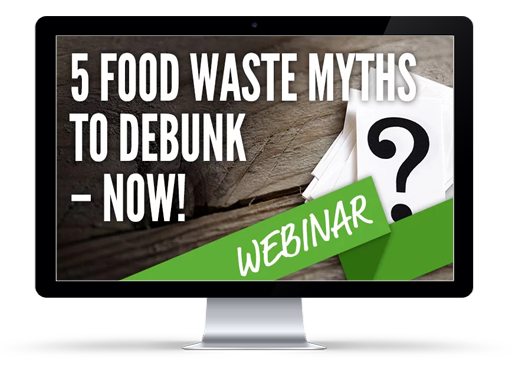 Leanpath Webinar Recording | 5 Food Waste Myths to Debunk – Now! 5 Food Waste Myths to Debunk – Now! Food waste: in some kitchens it’s a topic that people avoid talking about, even if it means ignoring an elephant in the room. Most foodservice operations throw away between 4-10% of the food they purchase before it’s ever served to a guest. In most cases, this isn’t largely unavoidable melon rinds and onion peels—instead, much of it is preventable waste caused by overproduction, expiration, spoilage and other culprits. Every operation has food waste, even the best in the industry. And while the topic is getting much more attention in the media today than it ever has before, there are still some misconceptions about food waste that limit action on the issue. We’ve got food waste covered—we do composting. We don’t have any food waste. Exposing our food waste will make me/us look bad. My team doesn’t care about food waste—they’re busy with other things. Tracking our food waste would take too much time/labor.